Chad Morgan was booked into the McKinley County Detention Center Aug. 11. THOREAU – McKinley County Sheriff's Office is asking for the public's assistance in finding Chad Morgan. MCSO Inv. 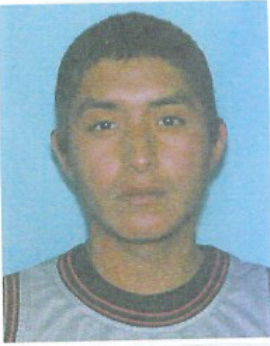 Anthony Ashley said an warrant was issued for the arrest of Morgan, 22, on July 11 for criminal damage to the Security Finance Loan office, 64 Highway 371, in Thoreau, N.M. June 26. The previous day, on July 10, a warrant was issued for the arrest of Morgan for burglary and larceny to Thoreau Water Dept. building at 61 First Ave. He told investigators he hit that location on June 23. But since his interview with MCSO, Morgan has been laying low, and is now a wanted man. During the interview with Ashley on June 26, Morgan admitted to using a 2 1/2 foot pipe to shatter a security window at the loan office in an attempt to steal some cash to help pay for a cousin's funeral. The warrant doesn't state whether he was able to take any cash, but he admitted that he acted alone, although his cousin Rorandall Morgan said he was at the scene. As for the water department break in, Chad Morgan admitted to reaching into a mail slot, dismantling it, then entering the building. He said that he stole $40. 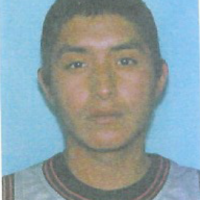 Contact: Sheriff's Office (505) 722-7205 or Crime Stoppers: 1 (877) 722-6161.